What is your favorite pastime? Do you like to flaunt your moves on the dance floor? Does everyone give you a standing ovation when you display how good you are with playing violin, a piano, or other musical instruments? Do you prefer working on handicrafts like crochet or pottery? No matter what your passion is, we can all agree that you cannot do any of it if you lack determination, as well as the participation of your body. But the sad truth is that as we grow old, there is a big possibility that we can no longer do any of our hobbies. It is a fact of life. Once you blow more candles each year, your bones will eventually become thinner and will lose their density. Our body is programmed to remodel our bones. This remodeling process involves removing calcium from the bones and then replacing it. If the body chips out more calcium in the bone than it does replace it, the bone will become weaker. Thus, you need to eat foods that are rich in calcium. If you want to enjoy more benefits, we suggest you take these fishes with broccoli or any dark leafy green vegetables. Other than that, you can also boost your calcium levels by consuming soy milk, almonds, fortified tofu, and dried figs. Experts here in the country propose that everyone should consume 1,000 mg of calcium supplements every day. This is all the more useful for people aging 20 years old and above. As you continue to walk this world, you may need to increase a number of supplements to take. Consult your doctor about it. Eating calcium-rich food is not enough for your body. You need to fortify it by taking Vitamin D. This vitamin is capable of aiding your body in absorbing calcium. If you cannot get your sufficient amount of Vitamin D (the sufficient amount is 1,000 to 2,000 IU), you can take Vitamin D supplements. However, if you were diagnosed with arthritis, osteoporosis, or osteopenia, you can invest in elliptical or other machines that can aid you in moving around. Before you commit to exercises, talk to your doctor first. Smokers and excessive drinkers; we may have some bad news for you. There has been a strong correlation between using tobacco and drinking excessive alcohol to the loss of bone mineral density. If you want to take care of your bones, we suggest you quit smoking. Look for a program that is suitable for you to help you quit this bad habit. If you want to drink, you can consume a maximum of one glass a day. Those are just some of the steps you can do to take care of your bones and continue enjoying your pastime until you retire. As you grow old, you become more susceptible to falling down. That is why for seniors out there who are having a hard time navigating their way in the world, you can opt for our Fall and Balance Training. 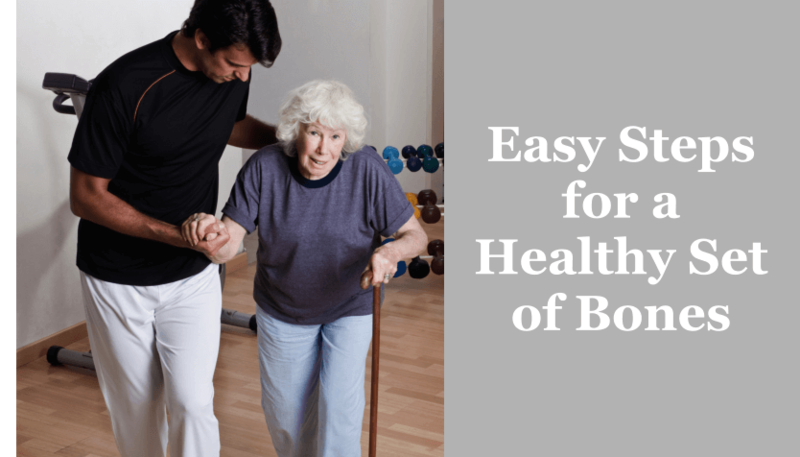 Our fall and balance training are one of the many services offered by Bayou Home Care. Here in our good company, you will be taught and encouraged to live the rest of your days fully. Through our variety of services and quality Home Care in Louisiana, you can now continue your passion without worrying about falling and your aching bones. This entry was posted in Home Health Care and tagged home health, respite care, senior care. Bookmark the permalink.